My very first job, back in the late 1970s, was being a delivery boy for a local newspaper. It came out in the early afternoon, which meant that my papers were waiting for me when I got home from school. Eventually, the paper started publishing in the morning, realizing that people like to read their paper in the morning as they eat breakfast or as they ride the bus/train to work. More recently, my current local newspaper stopped printing the daily stock prices. It made sense, since the prices were practically out of date by the time the paper was published. It saved the paper money at a time when print publishers were struggling to keep their circulation at a level that made them attractive to potential advertisers. This is not unique to my area. As CNN reported earlier this month, The New York Times is experiencing a decline in print advertising. This is not unique to the U.S. 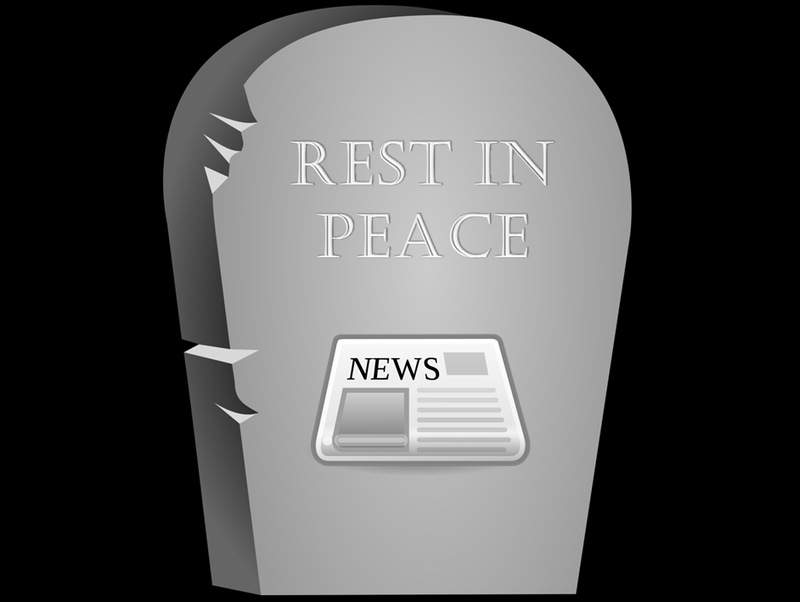 According to Yahoo News, every newspaper in Ireland lost sales in 2014. Magazines are in a similar situation, as reported by the International Business Times. Shall I go on? Has technology made print news obsolete? I think it has. The next big concern that news providers will face is how to recoup lost subscription fees. Many, like the Wall Street Journal, offer a combined subscription package that includes both online and hard copy versions of the paper. Clearly, they see the writing on the wall. However, with so many sources of news and other content available at no charge, how long will it be before publishers decide to do away with subscriptions? They will need to have truly unique and valuable content to justify such fees. Another benefit from the increase in technology is the ability to work with writers around the world. While some may lament the decline in staffers that received benefits, it allows companies to work with sources (writers) local to just about anything newsworthy, anywhere in the world. I have worked with organizations far away from where I live because of how well technology works. Click here to read an article that I wrote for the SMC back in 2013 that reviews several companies that put freelance writers together with companies. It’s time for more companies to embrace the inevitable.